One of the most effective ways to keep your home’s drainage system operating like new is to have it cleaned on a regular basis. Drain cleaning and video pipe inspection services from Larry & Sons the best way to ensure that your drains are clog free and draining water properly. Call us today to learn more about our drain cleaning and pipe inspection services in Hagerstown, Frederick, MD, and the surrounding areas, and how modern technology makes it quicker and less disruptive than ever before. We can schedule a time to visit your home today and then start the process of getting your drainage system clean for another year. The basic idea of drain cleaning is to preemptively remove any excess waste that has built up in your pipes well before it becomes an issue that could lead to a clog. Even in homes where residents are careful about what they put down the drain, there is a risk of grease building up on pipe walls, waste products getting stuck in the pipes or worse. Drain cleaning removes all of these potential problems before they have a chance to build up and create a clog and does so without you needing to be worried about your drains backing up, stopping up or cracking under pressure due to clogs. One of the ways we are able to effectively clean your drains quickly and without having to manually remove waste from every single pipe in your home is with video pipe inspection. Using modern video camera technology, we can look inside your pipes and check for specific problems like roots infiltrating the pipes, back–ups of grease and paper waste products or other problems that can be removed effectively when done in advance. The idea behind all of this is that by preemptively removing waste and clearing your pipes, you avoid the problems that tend to develop over time in even the best maintained drainage system. Combined with high pressure jetting and other advanced drain cleaning technology, video camera inspection adds an extra layer of protection against future problems in your drainage system. 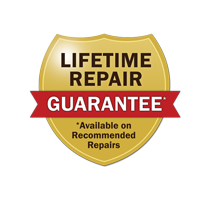 If you are ready to have a professional visit your home and perform drain cleaning on your pipes, now is the time to call Larry & Sons. We will clean any excess debris that has built up inside your pipes away and ensure your system is back to working properly for years to come. Larry & Sons provides top quality plumbing services in Hagerstown, Frederick, MD, and the surrounding area.